Unleash the imaginations and writing power of your student authors! Discover the untold possibilities that exist when published authors team up with teacher-librarians on a project that encourages students to flex their own writing prowess. The Top Secret YA Story Box is a writing project that travels the country inviting middle and high school students to write endings to the stories started by over 40 published authors. Kevin Cordi, creator of the Top Secret YA Story Box, along with several Ohio librarians and teachers who participated at their schools, will share how they used the project to invite students to dive deeply into literature and the craft of writing. The evening will feature a keynote by author Brendan Kiely discussing his own creative writing process, as well as Speed Dating sessions with other Ohio authors who contributed to the Top Secret YA Story Box project. Planetary Ayurvedics Full generic for cipro hc otic Spectrum Ashwagandha combines whole root powder with..
Only 25 student spots available! 5:15 5:30 “Read On Ohio!” awards presented to outstanding student readers who have been nominated by their school librarians. Brendan Kiely is The New York Times bestselling author of All American Boys (with Jason Reynolds), The Last True Love Story, and The Gospel of Winter. His work has been published in ten languages, received a Coretta Scott King Author Honor Award, the Walter Dean Myers Award, the Amelia Elizabeth Walden Award, was twice awarded Best Fiction for Young Adults (2015, 2017) by the American Library Association, and was a Kirkus Reviews Best Books of 2014. Originally from the Boston area, he now lives with his wife in New York City. Tradition (May 2018) is his fourth novel. 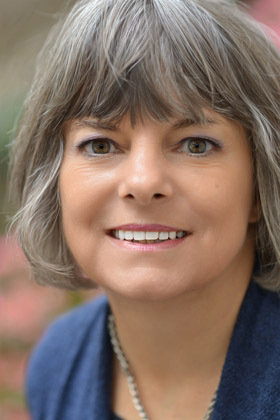 Margaret Peterson Haddix is the author of more than 40 books for kids and teens, including the Shadow Children series, the Missing series, the Under the Skin series, and the Children of Exile series. Her books have been honored with New York Times bestseller status, the International Reading Association’s Children’s Book Award, and numerous state reader’s choice awards, including the Buckeye Book Award. After growing up on a farm in Washington Court House, Ohio, Haddix lived in various other places—Indiana, Illinois, Pennsylvania, and Luxembourg—before moving to the Columbus area. A graduate of Miami University, she worked as a newspaper reporter, a newspaper copy editor, and a community college instructor before her first book was published. She and her husband, Doug, have two grown children. Mindy McGinnis is an Edgar Award-winning author who writes across multiple genres including post-apocalytpic, mystery, thriller, contemporary and fantasy. New York Times and USA Today bestselling author Cinda Williams Chima used to get into trouble for day-dreaming in class. These days, she daydreams on the page. She writes young adult fantasy novels in settings ranging from Appalachian Ohio to long-ago queendoms. These include the Heir Chronicles, beginning with The Warrior Heir, the Seven Realms series, which begins with The Demon King, and her latest, the Shattered Realms series, beginning with Flamecaster.